A little girl enters the snowy forest wearing a vibrant red scarf and holding a basket in hand. 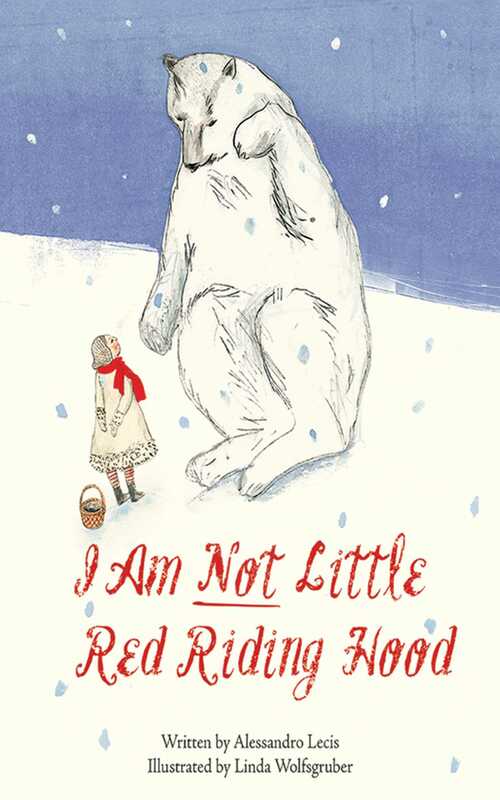 But don't be fooled—this is not a story about Little Red Riding Hood! The little girl soon meets, not an incredulous wolf, but rather a courteous, white bear. When asked what is in the basket she replies, "Nothing. I'm collecting snow, soft snow." The bear then leads her to the very best snow, which can only be found where the moon sleeps. Once they arrive, the little girl and bear dance among the snowflakes. He informs her that she can't keep the snow; it will inevitably melt. Regardless, the girl fills her basket with snow and the bear brings her home. After parting ways, she realizes the bear was right—the snow has disappeared, just as the bear has. With endearing characters and a simple, poetic style, Alessandro Lecis and Linda Wolfsgruber have successfully created a mystical tale about enjoying the here and now and the magic of the winter season.